It doesn't matter what you do as a living or what your area of speciality is, the key here is to sell yourself as a creative talent. You are not restrained by rules, you literally have a blank canvas to showcase your talents. Once you have created your masterpiece complete the form below, upload your video and wait to see if you make the final cut. 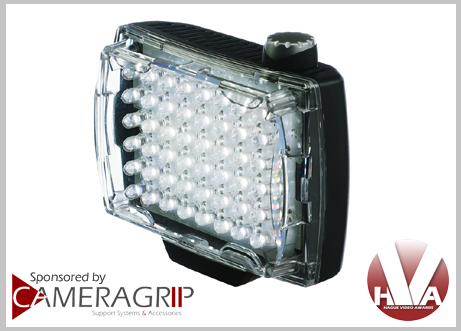 All entrants will automatically receive a £10 voucher to spend online with our sponsor Cameragrip. The Hague Video Awards 2017 is now closed and, with hundreds of entries received, we are now ready to announce the winners. Below are our judges top 3 winners and a snapshot of our favourites (listed in no particular order) from entrants around the world. Thank you for the great entries and congratulations to our three winners. 1st Prize - Over £1000's worth of film making kit including a Hague Camera Slider, a Lilliput 7" HD Monitor, a Hague Micro Camera Dolly, a Manfrotto Spectre Camera Light, a Hague Camframe Camera Cage, a Monopod, a Hague Shoulder Support, a Manfrotto Pixi Tripod, the Hague Double Shoe Bracket, a Camera Steadycam Stabilizer & the Hague SM90 Car Suction Mount. By entering the Hague Video Awards 2017 the entrants agree to be bound by the following terms & conditions. Failure to abide by these terms and conditions may render the entrant ineligible for the competition. The competition is free to enter and open to any person of any age, except for employees of Hague Camera Supports or Cameragrip. Anyone under the age of 16 must have consent of a parent or guardian to enter and must supply the relevant consent details. To enter the competition entrants must produce a video that is under 3 minutes in duration and they must own the copyright, or have written permission, to use all content included in the video. Hague will accept no responsibility for any failure by an entrant to obtain the necessary authorisations. The competition closes at midnight BST on the 30th November 2017 and no entries will be accepted after this time. Entrants must complete and submit the entry form above to register their submission. Entrants may submit multiple video entries but each video must differ significantly from any other entries submitted by that entrant. All videos must be uploaded to YouTube and must be titled Hague Video Awards - "The Name Of You Video" Failure to do this may result in your entry being disqualified. The judges decision will be based on their subjective personal opinion and the judges decision shall be final. No correspondence or discussion will be entered into regarding the judging process or the outcome and Hague accept no liability for the decisions made. 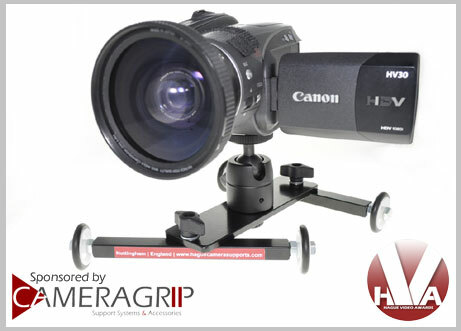 The prize will be supplied by our sponsor Cameragrip who will provide the winner with over £1000's worth of camera gear. 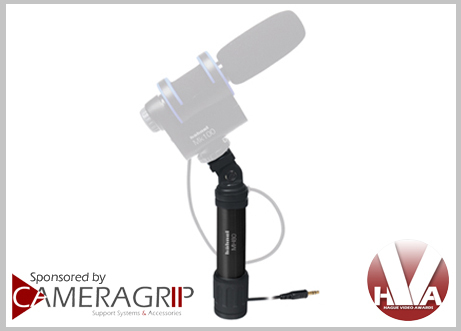 The value of the prize is generated from the SRP of each item included in the prize and Cameragrip reserve the right to change an item to one of the same, or higher value, if required. The full list of items included in the prize are listed above. 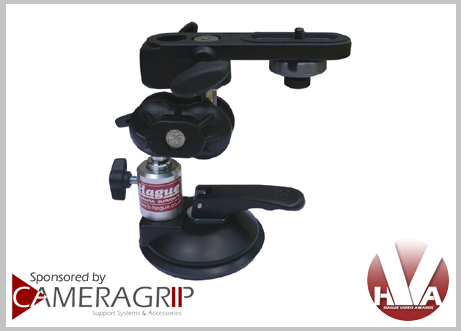 Neither Hague nor Cameragrip shall be liable for any tax or import duties that may be applicable upon the value of the prize when shipped to the winners country. Any taxes or import duties that may be payable to the local customs department by law would be the responsibility of the winner. All personal information (such as, but not limited to, name, email address, age) is collected solely for the purpose of this competition and will not be sold or passed on to third parties. 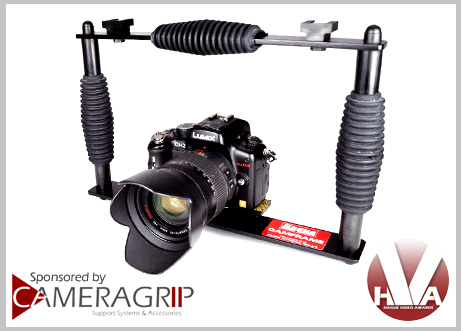 All entrants will automatically be subscribed to the Hague/Cameragrip email database and will be kept updated with future competition updates, promotions, offers and product releases. Each winner agrees to participate in reasonable post-competition publicity for Hague at Hague's expense and this may include interviews, photographs and videos. All copyright material must be cleared by the entrant and failure to do so will result in the removal from the competition. Entrants warrant that their videos, and any material contained within, do not infringe on any intellectual property rights or any other rights of any person. Each entrant will automatically receive a £10.00 voucher from our sponsor Cameragrip which can be used against purchases on their website cameragrip.com. Vouchers can be used on any purchase over £150.00 but are limited to one voucher per purchase and will expire after 6 months from the date of issue. Hague reserve the right to use any content supplied by an entrant, either in full or in part, in any manner they desire. This may be for advertising or publicity purposes and by entering the competition the entrant grants Hague full consent to use content as required. Where applicable this may include crediting the entrant by name. Without limitation, Hague may use all or part of all entries supplied and all entries become the property of Hague to use as required. The non-exclusive worldwide rights for all media submitted must be available for unlimited time and use by Hague. Although there is no intention to do so, Hague reserve the right to alter aspects of the competition if required.